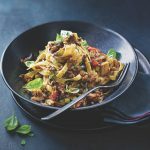 This meat-free take on a classic Italian ragu is a delightful, healthy alternative that works perfectly with gluten-free pasta. 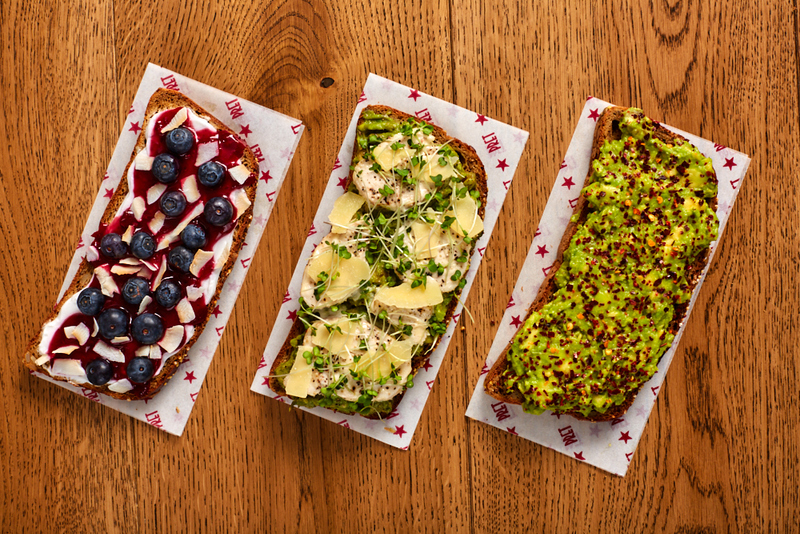 Give it a go as a midweek meal – it’s easy peasy and pretty quick to rustle up. This vegan ragu is a cleaner, healthier alternative that won't leave you wanting. Heat 1 tbsp oil in a large frying pan. Add the aubergine, season and fry for 10 minutes, stirring regularly until golden. Tip onto a plate and set aside. Add the remaining oil along with the onion and fry for 5 minutes, then add the garlic and fry for 3 more minutes. Stir in the diced tomatoes and cook for a further 2 minutes. Meanwhile, cook the tagliatelle according to pack instructions, then drain. Return the aubergine to the pan, then tip in the lentils. Fill the pouch halfway with water and pour into the pan. Simmer gently until everything is warm, then stir through most of the basil. 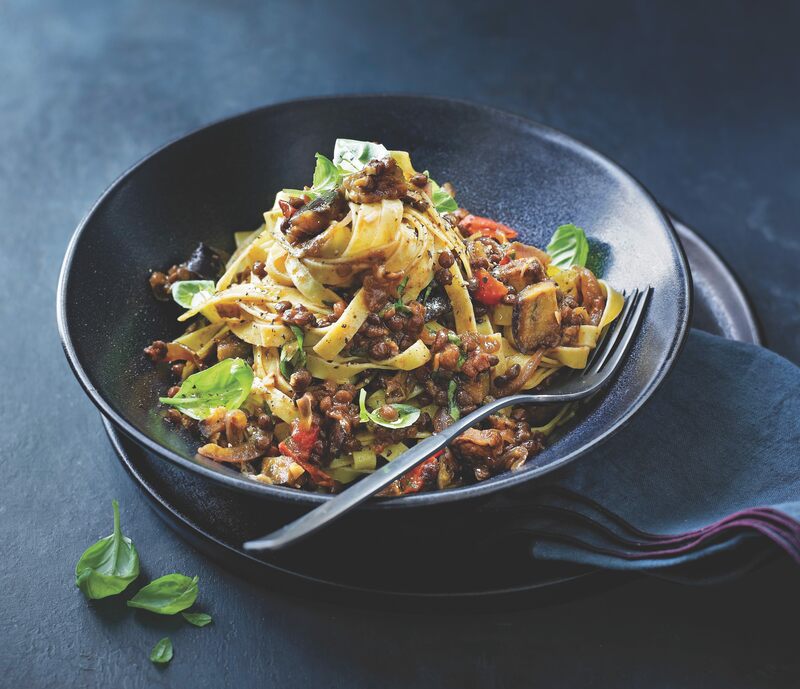 Serve the ragù over the tagliatelle with the remaining basil leaves scattered on top.